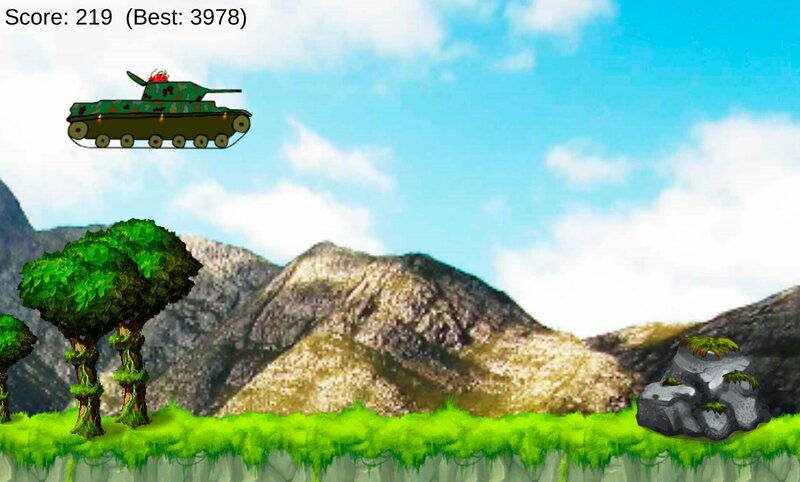 "Extreme Run - World of Jumping" can be found on Google Play by typing "WoJ" in the search field. Imagine: you are driving a tank, full of dynamite, through the covered with mud area. Suddenly, you lose a track and your vehicle stucks. You can't repair that track, so you decide to equip your tank with a jet. Once you've done, you get into your vehicle and suddenly it starts moving itself. Then you realise that all you can do is to control jets, and you can see many obstacles ahead. What would you do then? Be ready for anything! World of Jumping will show you how! 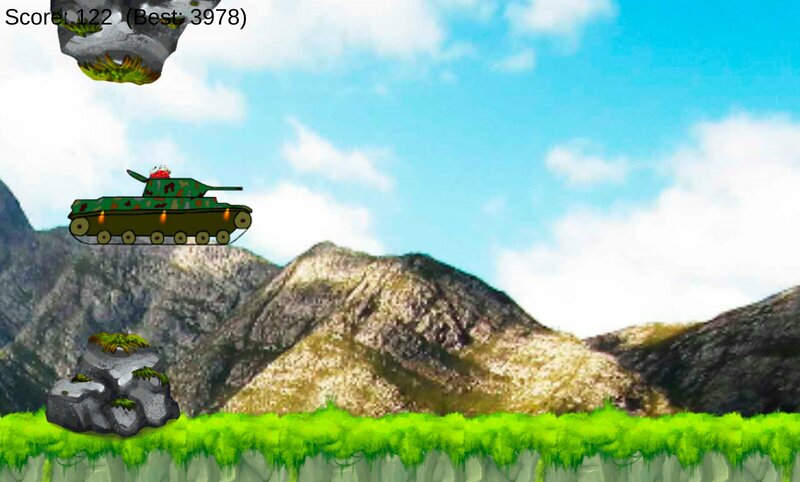 "World of Jumping: Extreme Run" is a fast-made runner which improves your reaction rate. "Extreme Run" has a finite terrain. 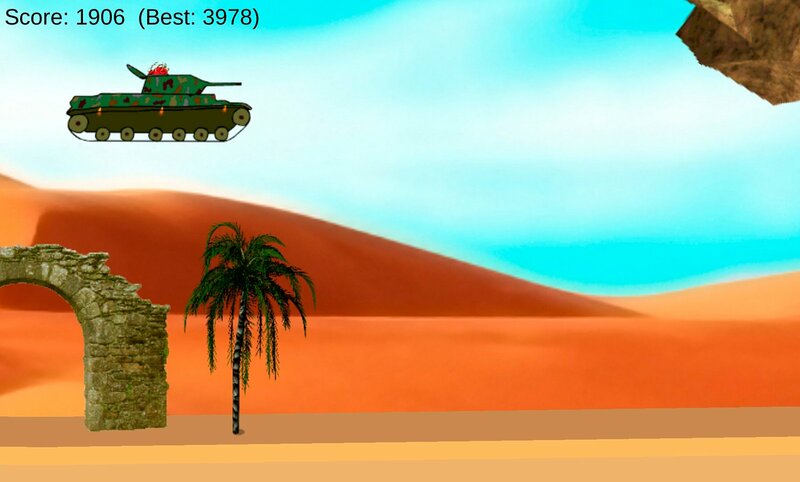 The goal of World of Jumping is very easy: reach the terrain's end! * Tap anywhere on the screen to jump. * Don't get out of screen.